are we allowed to stream the test weekend ? Just curious, once Alpha users are allowed access to the game...we will be allowed to stream on twitch? and post videos? Or will that be prevented by an NDA for awhile? You are all free to stream and post pictures and/or videos to your hearts content :slight_smile:. Yup, you can stream, just make sure you do not misrepresent the state of the game ( ie. people have to understand it's a pre-alpha prototype and not a finished game ). just to make sure im clear, although i backed to get 2 copies of the game...it only is considered 1 alpha access? Correct because we currently don't have a way for you to gift your extra copy to someone else. Therefore they are both only associated with your account. 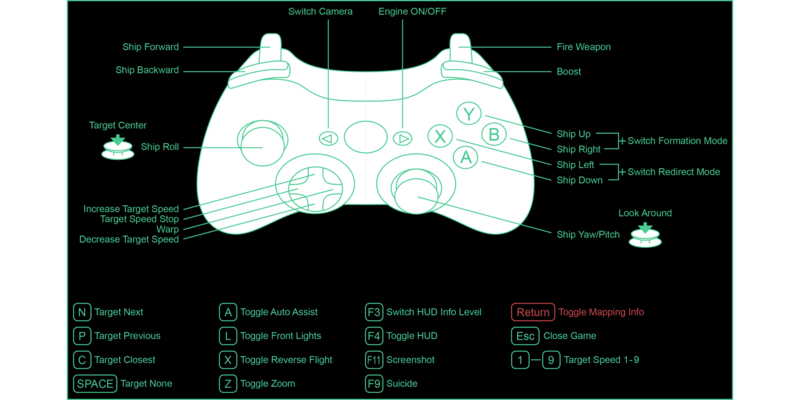 I made a controller setup which IMO works perfectly. I recommend controller sensitivity of about 40 to 50%. Invert Pitch set to on. Invert Roll set to off. For "Keyboard Profile" select "x360". For "Controller" select "Xinput Controller". Have you associated your I-Novae account with your backer's email yet ? If not you should do it, see the FAQ at the top of the topic. I'm sure I backed to Alpha level but I can not get down load access is there any thing I need to do. It takes up to an hour for our system to sync with IndieGoGo. According to our records your account got synced 7 minutes ago and should be fine now? Thank you with a little help I have got it to work it was because the original payment was never confirmed I have just downloaded the launcher now. Re-posted your profile on the ED and SC forums Playbenni. If I had a gaming rig I'd be using it. Thanks. Is another pre-alpha test weekend planned before alpha is released? As of this exact moment in time no but now that I'm back from my trip we'll be revisiting our schedule and depending on that timeline it may make sense to do another free-play weekend before the release of the Alpha. It's a drag I missed out on the last pre-alpha test. is there any rough idea how long it'll take until alpha i will be out? my question is basically: are we talking abotu weeks or month here? I think Flavien said in last weekly report that alpha is delayed for a 2-3 months.